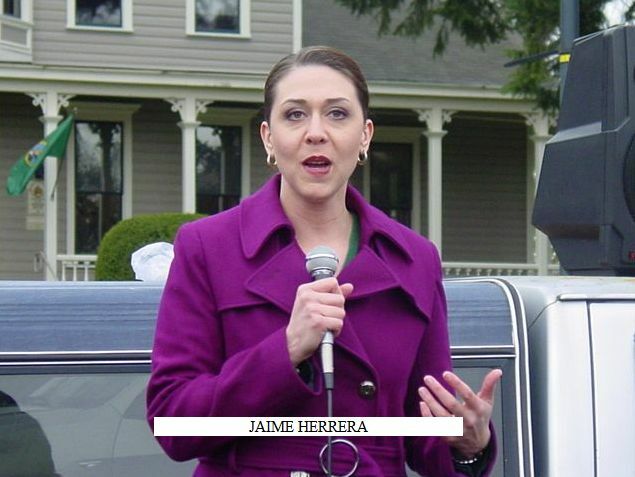 Jaime Herrera, Representative for the 18th Legislative District hoping to replace Democrat Brian Baird in the 3rd Congressional House seat since he anounced retirement, is announcing she too will have a 6 A.M. interview on KOIN 6, as did David Castillo earlier in the month. For those who don’t wake up that early, KOIN 6 made Castillo’s video available online and I’m sure they will Herrera’s as well. Among all of the elected officials on both the state and national level who continually prove themselves to be bad decision makers, there are a few who do choose to stand up for what is right. 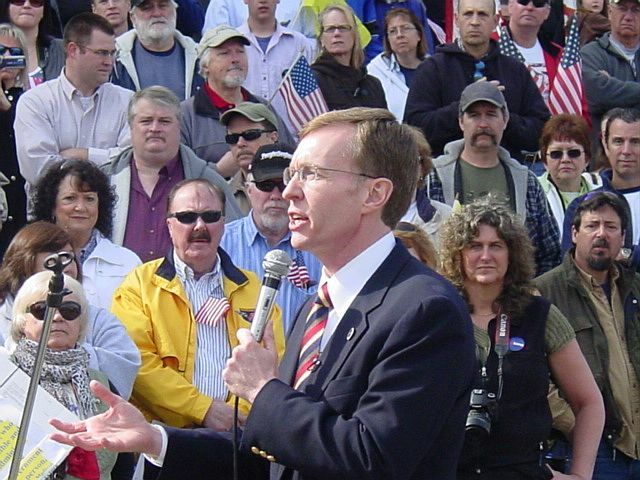 Washington Attorney General Rob McKenna recently proved himself to be a public servant who belongs in the latter category. By joining together with other AGs from across the nation to challenge the constitutionality of the Health Care Reform bill, AG McKenna has shown that he is interested in fighting on behalf of those he serves, the people. However, he is currently facing huge opposition to his decision on all levels. 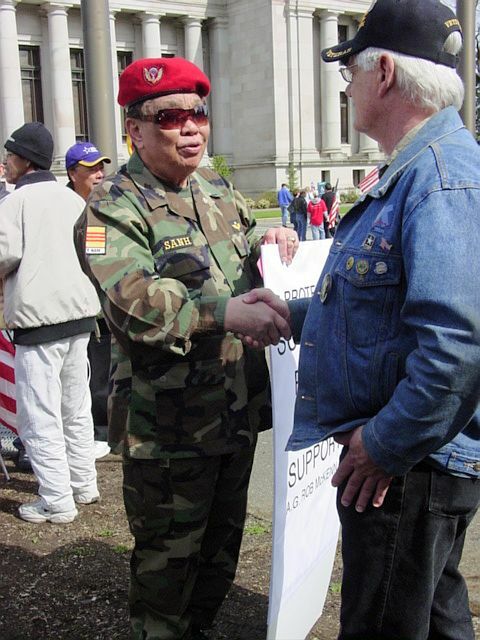 Governor Gregoire and many of our state legislators are trying to find ways to block him, and there is a protest scheduled to take place in front of his office in the Highways and Licenses Building (1125 Washington St, Olympia, WA) on Friday, March 26 at 10:00am. We need to show Rob that there are people in Washington who will stand with him in this fight! 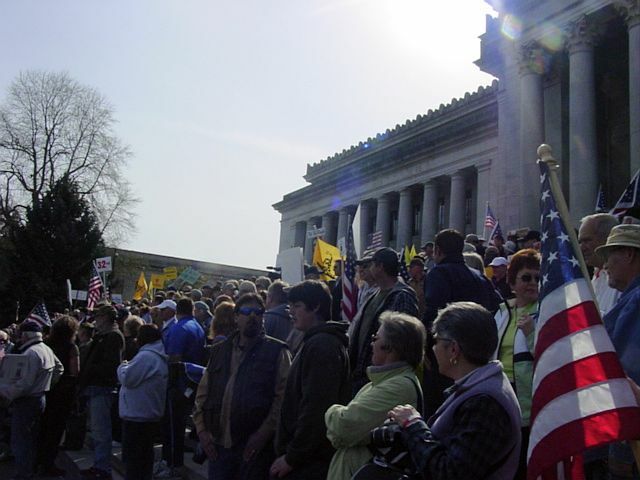 Please consider joining Americans For Prosperity and We The People – Vancouver for their Support Rob Rally this Saturday! AG McKenna will be speaking! Folks, I have not been a big supporter of Rob McKenna’s. But, when he is right, he is right. We need to make a big showing on this and let Gregoire know she is wrong, dead wrong! OLYMPIA — Washington State Attorney General Rob McKenna says he will join a multi-state lawsuit challenging the health-care law just approved by Congress. In a statement, McKenna, a Republican, said he believes the measure’s requirement that everyone buy health insurance is unconstitutional. 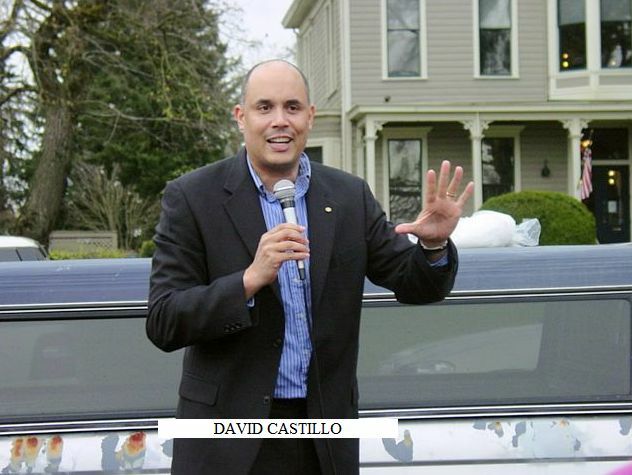 A message from David Castillo, Republican candidate for Washington’s 3rd Congressional District. Many of you know that I decided to run for Congress in Washington’s 3rd Congressional District because I am very concerned about the America that my four year old son is going to inherit. Last night, Democrats in Congress made his road to success extremely difficult. While most Americans were enjoying a Sunday evening with their families, liberals in Congress voted to allow the Federal government to take over 1/6th of the American economy. Without one shot being fired, the Federal government is now able to exercise a level of control over you and your family that was unheard of just two short years ago. As I make calls to friends and supporters, I am struck by just how discouraged many of them are. Many people believe that this vote was the beginning of the end of a truly free America. Too be honest, I have been a little discouraged as well and I have the same concerns. But we cannot give up. While Nancy Pelosi, Harry Reid and President Obama don’t – I do believe in an America where people succeed or fail based upon their own merits. I believe in an America that provides an opportunity for every citizen regardless of their station in life. I believe in an America that provides an opportunity for a poor, multi-ethnic kid from rural Washington State to work for the President of the United States. We must save OUR America. This is not the time to get frustrated and do nothing. I ask you today to please take a stand with me and make a secure online contribution to my campaign of $5, $50, $100 or $500. 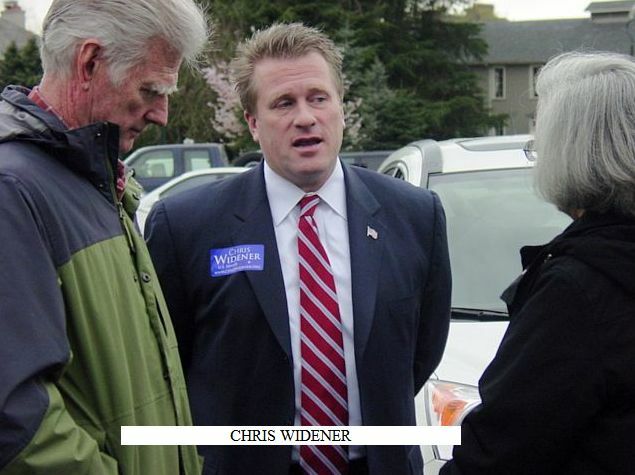 I am the only person running in the 3rd Congressional District who has been both a small business owner and a senior government official. I have served my country in the United States Navy, at the highest levels of government, and through job creating activities as a business owner and businessman. No one else running can match the depth and breadth of experience I am bringing to this campaign. We know now – more than ever – that we cannot trust our future to unqualified, untested politicians. We must have servant leaders who are only concerned with restoring the American dream. That is the kind of leader I will be for you, the people of the 3rd Congressional District, and America. Today, I am asking for your help. I realize times are tight; but I cannot make a difference without the resources to continue this fight. Together we can continue this fight to restore the American Dream! P.S. Our moment is at hand! They have gone too far and we have an opportunity to take back our country – our freedom. We can do this together and you can help by making a secure contribution to my campaign today at www.castilloforcongress.com. 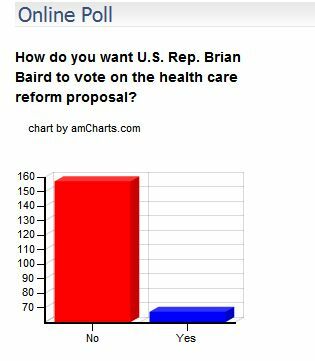 Brian Baird voted yes to this healthcare takeover. Likely nominee for the Democratic Party, Denny Heck, continues to not take a clear stand on the issue of healthcare. Baird has endorsed Denny Heck, leading to believe they will be one and the same. David began calling on opponents to make their stand clear to voters in February and just last week, fellow GOP competitor Jaime Herrera, joined with David Castillo in this call. This race is too important to allow things to continue as they are. Our basic freedoms are at stake. 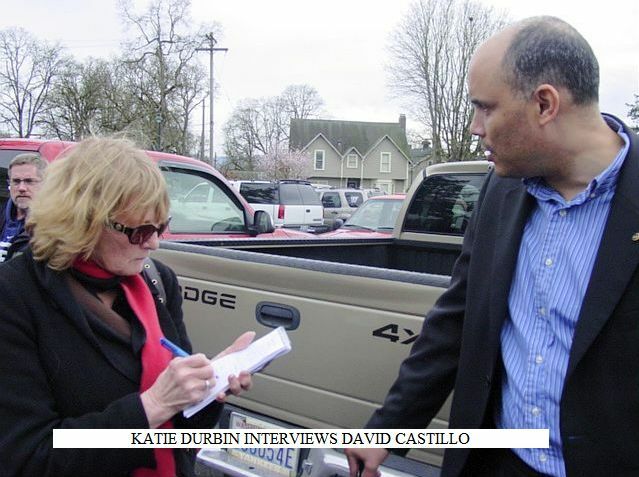 Please visit David Castillo’s website and see for yourself why I feel he is the best candidate equipped to represent the will of the people in Washington’s 3rd Congressional District. 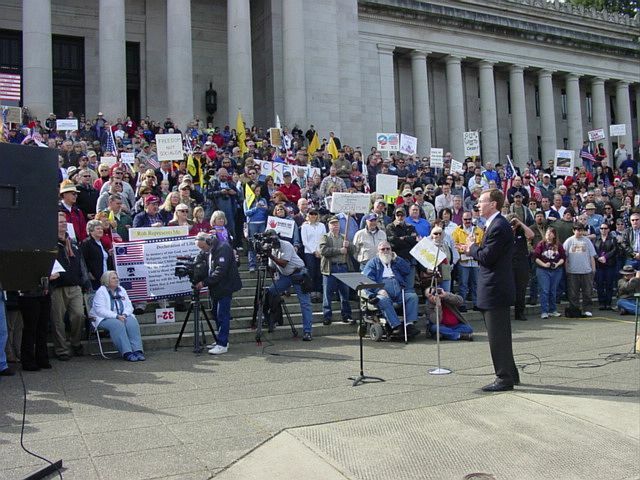 Polls in the Columbian and Centralia Chronicle all show massive majority disfavor over this socialist takeover. Baird, retiring at the end of this term, has played constituents, claiming he was “undecided,” when throughout his career he has supported such legislation. Your legacy is dead, congressman. We will watch to see what sort of “appointment” you receive in the future to give you your thirty pieces of silver in selling out your constituents. You had a chance to go down in history as actually representing your district. Instead, you are just another Judas. Don’t even think you are going to be welcomed back in this community with open arms. Jaime Herrera, hoping to secure the GOP nomination to replace retiring Democrat, Brian Baird, has joined with GOP nominee competitor, David Castillo in calling for the presumed Democratic nominee in the 3rd Congressional District Race, Denny Heck to take a clear stand on the healthcare bill now poised to pass, which a clear majority of American citizens oppose. 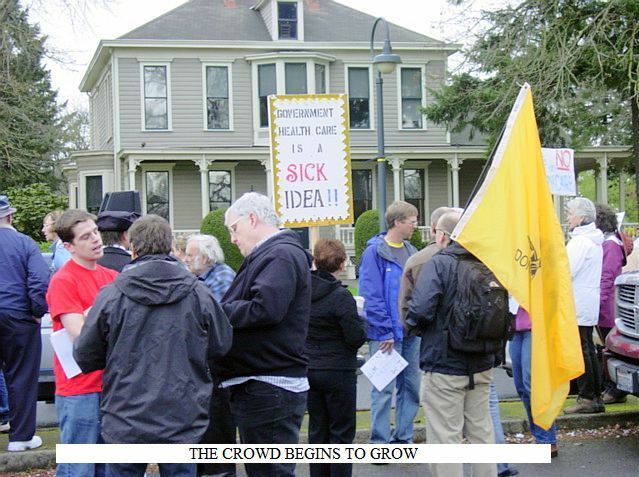 Castillo issued a News Release February 27, 2010 calling on opponents to make their position clear on the pending healthcare legislation. 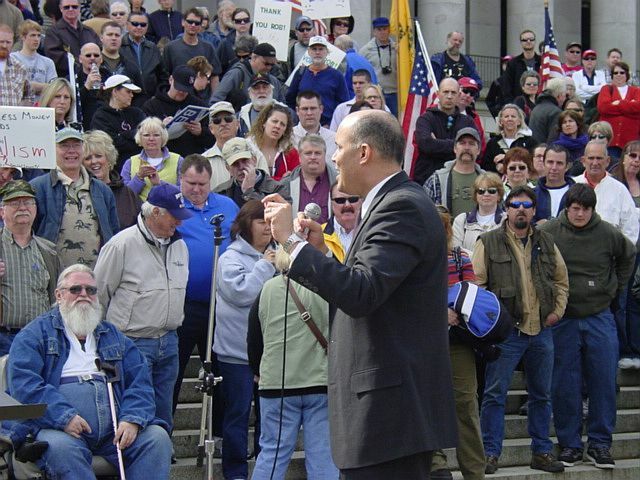 Castillo, making his stand clear to voters, at the time stated, “Clearly, I will not be supporting Nancy Pelosi for speaker or her health care plan, but the people of southwest Washington deserve to know where the Democrats in this race stand on the issue,” as he called on the declared Democratic candidates, State Senator Craig Pridemore, Maria Rodriguez-Salazar, Denny Heck and Cheryl Crist to make their stand known. Denny Heck has yet to state a clear stand. Castillo’s campaign page includes a counter waiting on Heck to stand up and let voters know his position. 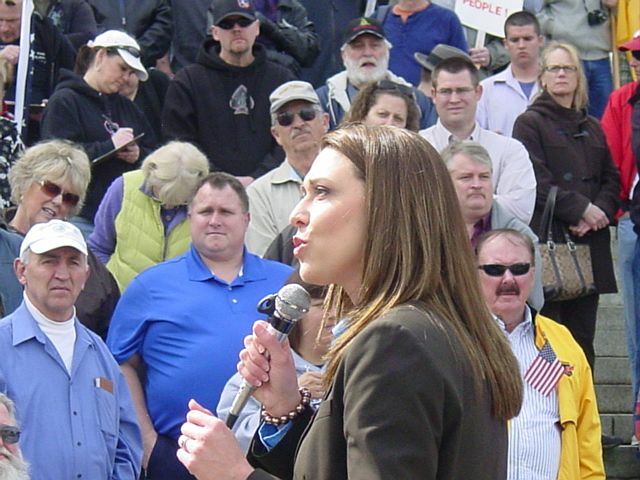 Herrera issued her call on her facebook page and also placed the call for Heck to take a stand on her campaign page as well, adding her voice to Castillo’s in calling for Democratic challengers to make their stand known. 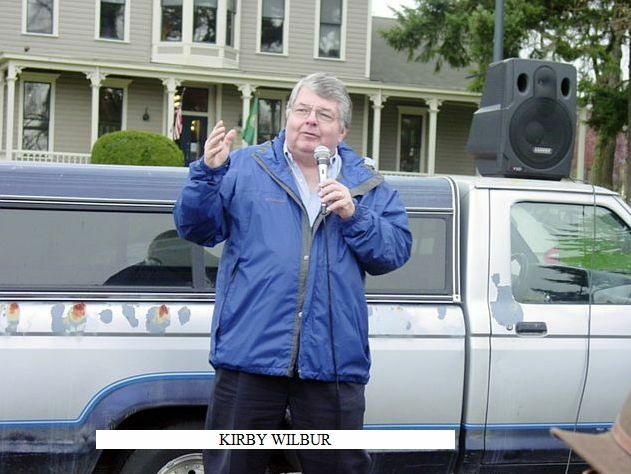 State Senator Pridemore made his stand clear in a March 6 Columbian article saying, “Let me be clear: I believe that Democrats in Congress should pass the bill, include a public option, and if necessary, use the reconciliation process to get it done,” clearly willing to thwart the will of voters. He said the public is tired of the debate over how Congress is going about trying to pass or block health care reform. Both Castillo and Herrera have consistently made it known they oppose the healthcare bill as it currently is. I congratulate Jaime Herrera in lending her voice to David Castillo’s call for Denny Heck to come out and take a clear stand on where he stands. Welcome aboard, Jaime. It’s good to see you join with David Castillo in this call. David Castillo, candidate for Washington State 3rd Congressional District, illustrates the massive load we are seeing placed on our future, especially our children and grandchildren, with the level of spending we are seeing in Washington D.C. today. Brian Baird, our current elected representative, helped place this load on the future by voting for these massive borrow and spend bills. We cannot saddle our children with such debt and ruin their future. Each generation has always tried to pass on a better country than they inherited. We can do no less and if we pass this one, there will be no future for America or our children. 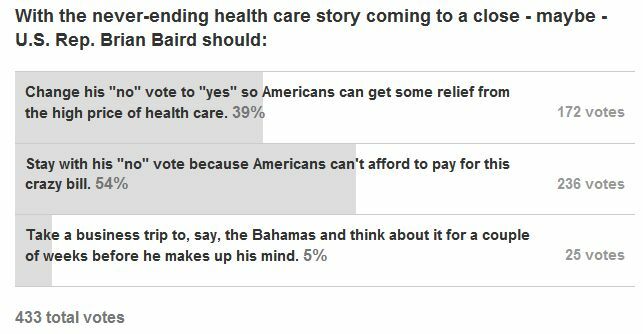 Brian Baird has shown us he is out of touch with our values and lives. 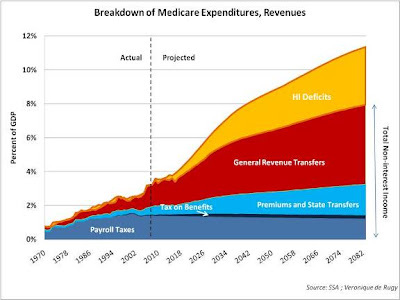 He is poised to vote for a massive takeover of our healthcare system, placing it in the very hands of those who are responsible for our rapid increase in deficit spending, more than in the entire history of our country. Visit David Castillo’s web site and see whether or not you agree he is the candidate best suited to replace Brian Baird. Some time ago, and I still don’t know how, I ended up on Moveon.org’s mailing list. Imagine, as far right-winged radical that many consider me, I receive Moveon.org’s deceitful emails on nearly a daily basis. It’s sickening. 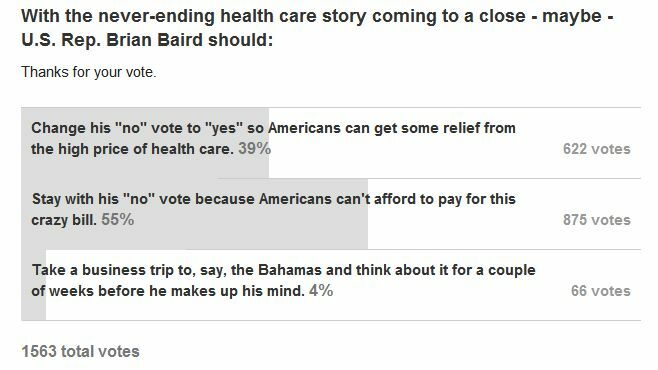 And it’s just one more reason we need a public health insurance option-a health care plan that won’t put profits before basic human decency. It’s not enough to pass new regulations. 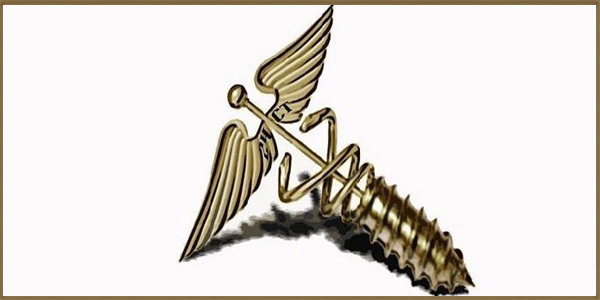 Like credit card companies and big banks, health insurance companies will always be looking to find a new loophole. While regular followers of Moveon.org just accept those claims as truth, never questioning a fellow liberal, I decided to look deeper since Moveon.org supplied links to just who supposedly made these ludicrous claims. “Insurance companies have used the excuse of “pre-existing conditions” to deny coverage to countless Americans. From cancer patients to the elderly suffering from arthritis, these organizations have padded their profit margins by limiting coverage to patients deemed “high risk” because of their medical condition. Clicking on (8), I was taken to the footnote, “8 National Women’s Law Center. Nowhere to Turn: How the Individual Health Insurance Market Fails Women, 2008. Fair enough, they quote a magazine article from 2008. I did a web search through Google and found a pdf copy of the article. Clicking the link supplied in the footnote took me to a brochure published in 2002, “FYI: Insurance Discrimination Against Victims of Domestic Violence,” which supplied the experience of 3 battered women escaping their batterers and listing one who had trouble obtaining car insurance due to her having legally changed her Social Security Number and not wanting to supply it to the insurance company who would then check her driving record, as everybody has to do to obtain car insurance. Another who had problems obtaining a property damage settlement over her abusive husband setting their house on fire and another who also had trouble obtaining a settlement over her house being burned down by an abusive male. In both of the latter cases, after negative publicity in newspapers, both were paid the claims. The act was introduced in the U.S. Senate by Phil Gramm (Republican of Texas) and in the U.S. House of Representatives by Jim Leach (R-Iowa). The third lawmaker associated with the bill was Rep. Thomas J. Bliley, Jr. (R-Virginia). What I do see is a very intricate web of deceit through several different websites arriving back at examples of car insurance and property claims being denied. Even though the states listed may, and I emphasis may, have not have passed a state law directly prohibiting insurance companies from denying health insurance to victims of domestic violence, does not the provision written into the Gramm-Leach-Bliley Act by the three Republicans that submitted it preclude them from actually denying health insurance? “We’ve all heard the tragic stories about how health insurance companies use the ‘pre-existing conditions’ rule to deny coverage to people suffering from chronic disease. But extending it to domestic violence victims is simply beyond the pale-and it’s perfectly legal in eight states and the District of Columbia. In fact, one survey found that 8 of the 16 largest insurers in the country have used domestic violence as a factor in denying coverage. These outrages won’t end until we force private insurance companies to compete with a high-quality, affordable public plan that’ll keep them honest. 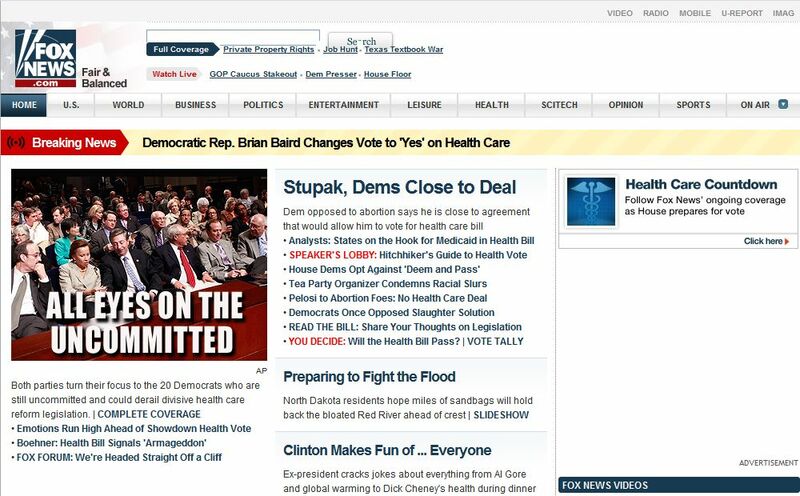 Seeing how the steps have been taken to arrive at this tearful insinuation of abused women being denied any medical coverage or care, perhaps it is Moveon.org who needs to be “kept honest” or just ignored. Will Democrats, who claim to be “reaching out” for bi-partisanship, negotiate with this bill? Or, will they cling to their total takeover proposed by Nancy Pelosi and Barack Obama?